Hyronomous A. Frog doesn’t quite fit in among the other frogs in the bog. He’s incredibly large compared to the others and hates the taste of flies! When he meets Gloria the Good Witch, he learns he must be kissed by a maiden to break the curse that turned him from a prince into a frog. 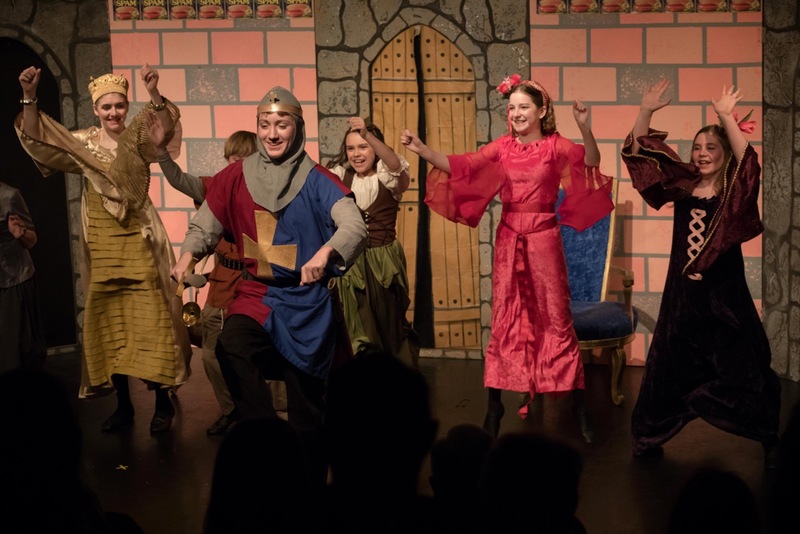 In a hysterical scene, our frog-legged friend learns how to walk like a human and sets off for Spamalot, where he finds the spoiled and petulant Princess Gladiola and her sisters. 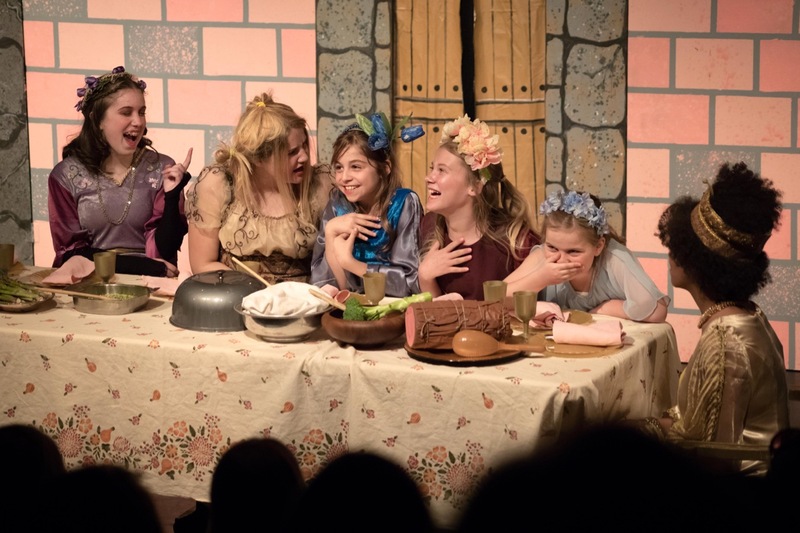 Gladiola and her painfully pompous fiancé, Sir Lancelot Pancelot, despise the frog and stop at nothing to get rid of him. Meanwhile, our green hero tries desperately to fit in among the royal household. With his failed attempts at proper dinner etiquette, a hilarious scene ensues. Read more...Luckily, Hyronomous finds a friend in Delphinium the handmaiden who does her best to save him from the slings and arrows of outrageous Gladiola and Pancelot. 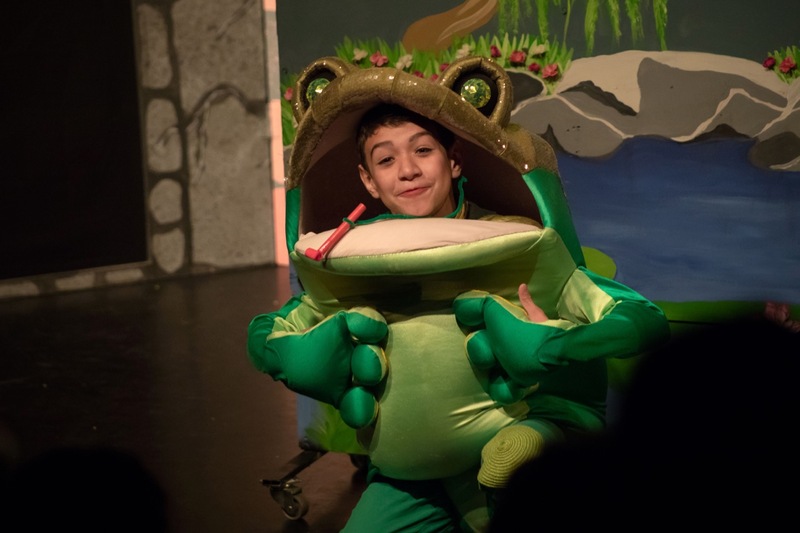 When it seems all is lost for our beloved frog, he finally gets his kiss, bringing about a ribbiting... er, riveting... heart-warming finale! ...was a very fun and entertaining piece to put together and watch.